We depart from Jerome, skies are crystal clear. We take Route 89 over the top of a 7,000 ft. pass: a slow, winding drive to the top, leaving the scrub behind, replaced by an open forest of ponderosa pine and juniper, then dropping down to Prescott valley, we had to inquire the whereabouts of the town of Prescott, due to poor signage, certainly not our map reading skills. We strolled around the downtown square, presided over by the large imposing courthouse, one street dominated by small saloons, the other streets having art and antique stores typical of Arizona. East to Camp Verde, we had one “must stop” on the way, according to Leigh from Jerome; “Trader Joes”, where prices are less because supposedly they cut out the middleman. The store was smaller than we thought it would be, fairly busy and we did come away with a good amount of food at a reasonable price. The 20 miles to Camp Verde on Highway 169 was not a scenic route, through the town of Prescott Valley, a strip mall town that puts Wasilla to shame. On through scrub brush land, claiming to be part of the Prescott National Forest. Apparently there don’t have to be trees to be a forest. 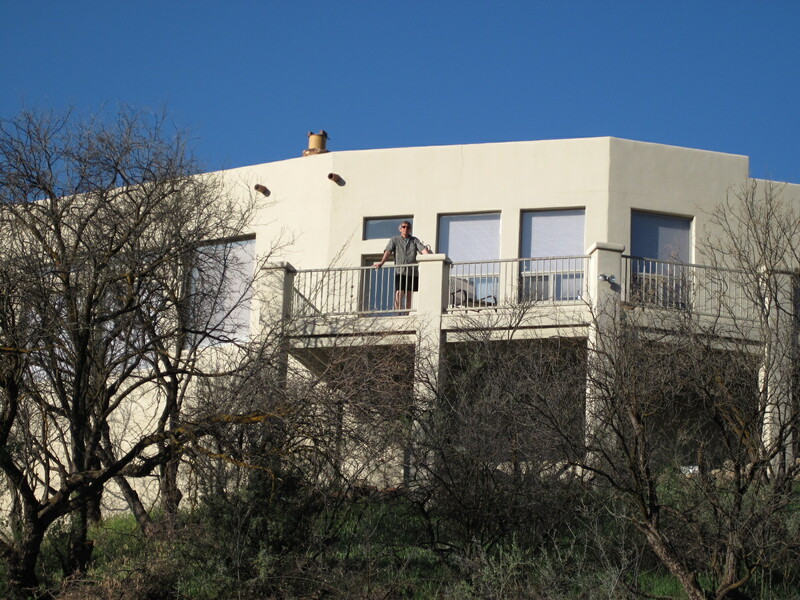 We navigated our way through downtown Camp Verde, a slow moving place, then across the Verde River and 5 miles to Clear Creek to the adobe style house rental. 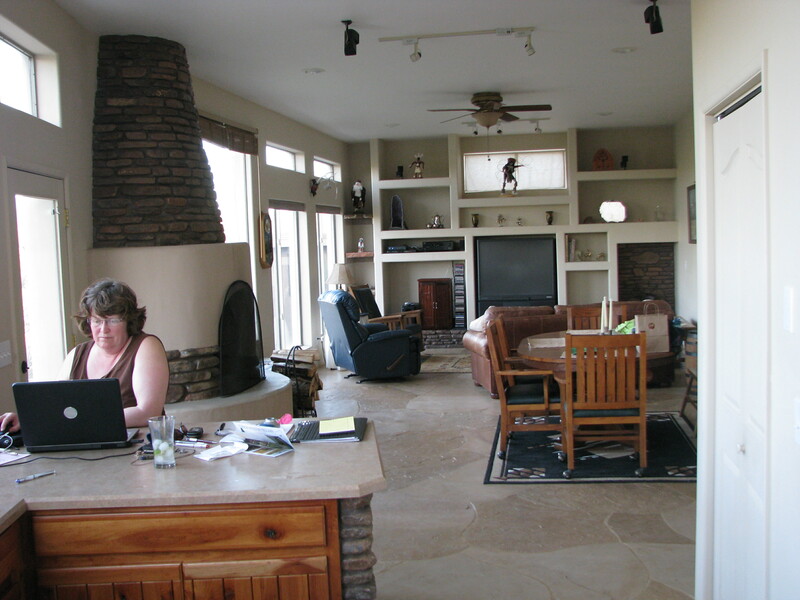 It’s a neat place, 10 foot tall walls and flagstone floors keep it cool inside. A deck overlooks the fast flowing creek (lots of watersheds are dry washes in Arizona) with leafed out cottonwoods and sycamores. We ate in for dinner and fell asleep to the sound of flowing water.